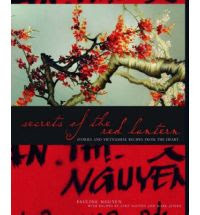 "From Hanoi to Saigon - A Vietnamese Voyage"
Our 3rd London Cooking Club evening will be on 27th March - "From Hanoi to Saigon - A Vietnamese Voyage". 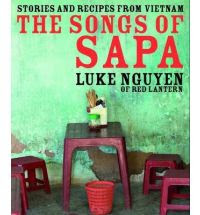 We will be cooking recipes from two of my favourite cookery books "Secrets of the Red Lantern: Stories and Recipes from the Heart" and “The Songs of Sapa” by Pauline and Luke Nguyen. Hey Anonymous, it is a pity indeed, but if one day you happen to be in London around the time of one of these events, I would love to hear from you! Thanks. One of those books looks familiar - I think Mel and Kelsie had it at thee Talisker event? Would *love* to come along to one of these nights soon, but not available on Saturday unfortunately. Keep us posted! Hi Gail, it was nice to see you this morning at SOS. Indeed Mel had the book that night. They used to be part of this Cooking Club but only participated once, and I don't think we will see them very much now that they are immigrating to Germany! I will keep you posted of future events.